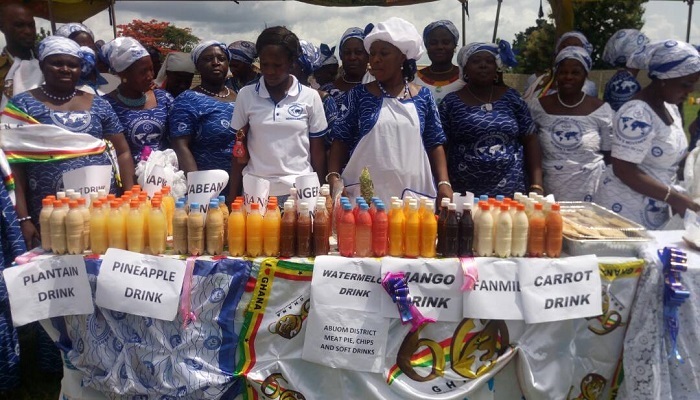 The Women’s Ministry of the Goaso Area of The Church of Pentecost has organised a food exhibition to demonstrate the cooking skills of the women in the Area. The event which took place on Friday, 25th May, 2018 at Nana Kwasi Bosomprah Park, at Goaso, saw participants selected from the 32 districts in the Area cooking varieties of delicious Ghanaian dishes. It showcased 23 different kinds of local foods such as Konkonte with Ayoyo and Akranteε soup, Tuozafi with crab and okro soup, Aprεprεnsa garnished with crab and gari fotɔ, Ampesi with palaver sauce and garden egg stew, Akple with Ayoyo and okro soup, Yakeyake with fried fish, Fufu with light soup and Abunabunu nkwan, Banku and pepper sauce with tilapia. Each of the 32 districts was given a particular dish to prepare. According to the organisers, the event was meant to teach the younger ones, especially the females how to prepare some local dishes. It was also a platform to foster unity among the members and the community leaders. The Area Head, Apostle Isaac Amoako, in an address admonished the gathering to live a healthy lifestyle since that is the plan of God. Quoting from 3 John 2, Apostle Amoako stated that God’s will for His children is for them to prosper in everything and stay healthy. He indicated that God has already made provisions for His children to enjoy good life but humanity has a major role to play to realise it by eating proper diet. 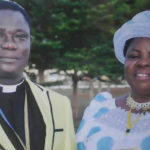 “I thank God for this special programme that has been organised by The Church of Pentecost. The different dishes prepared by the virtuous women today, I believe, is the secret behind the good life being enjoyed by married men in this Church. This shows that their wives are giving them well prepared food,” he stressed. Nana Bosomprah tasked the Women Ministry in the Area to frequently organise such programmes to equip other women in society. He expressed his interest to partner the Church to integrate the programme in the annual Abetiase Festival which is celebrated by the people in November every year. In attendance were the wife of the Area, Mrs. Sabina Amoako, the pastorate and their wives, the Goaso Municipal Nutritionist, among others.